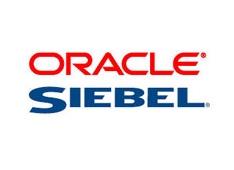 It was noticed during siebel repository import in an Oracle Database 11.2.0.3, most of database wait time was log file switch. How To Set Up A Load Balanced MySQL 5 Cluster With Two Server Machines. Setting up a load balanced mysql cluster with only two servers. This document is a how to for installing mysql 5 cluster with only two server machines. Our cluster combines two data nodes:two management nodes and two mysql nodes. Every machine has 1 data node,1 management node, and 1 mysql server. To avoid network problems between our internet connection, switches,etc, we networked the two machines with dual switch connection and one crossover cable between them. The mysql cluster will communicate using the crossover cable, just to be sure that there will be no network problems (except from the crossover cable link). 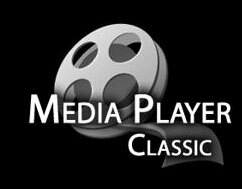 To communicate with the mysql we will use a shared ip, which will be available with linux ha , so the mysql clients will connect to that ip. and have 99.999999% uptime. Posted in Articles | Comments Off on How To Set Up A Load Balanced MySQL 5 Cluster With Two Server Machines. 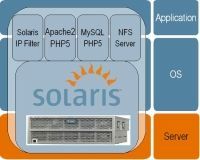 Solaris Containers—Sun’s operating system virtualization technique—consists of several technologies that work together to foster improved resource management and isolate the environment from the underlying OS. With Solaris Containers, organizations can determine how to allocate resources among applications and services, and ensure they do not interfere with one another. 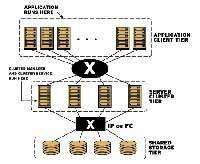 Clustered systems provide reliability, scalability, and availability to critical production services. Redhat cluster suite can be used in many configurations in order to provide high availability, scalability, load balancing, file sharing, high performance. You need to have two or more NICs on your server and multiple distribution switches on network in order to have a redundant network connection for your server. Depending on the operating system your server is running, different configurations (and names) are used. There are usualy two possible schemes to do this, one using load balancing method, and the other using fail-over option. In the following lines you can find both redhat and solaris configuration examples to implement this. Here are some system statistics that you might find useful! The link above is a script I found today that seems really useful if you build database applications.